The KC Masterpiece 400 at Kansas Speedway in Kansas City will mark the 25th Monster Energy NASCAR Cup Series race contested at the 1.5-mile oval. Only four drivers from the Sept. 30, 2001 inaugural race there have competed in all 24 Kansas races. Ryan Newman and Kevin Harvick have. Matt Kenseth, who was retired, was hired at Roush-Fenway Racing a few weeks ago, so he is driver number three. And Kurt Busch is driver number four, having driven the No. 97 Ford to a ninth-place finish in that first Kansas Speedway race in 2001. Unfortunately, it’s one track where Busch has never found victory lane. He finished second in October 2013 and again in October 2017. He won the pole in June 2011. He would love to find victory lane at Kansas to check that track off his list. But also so he can join Newman, Harvick and Kenseth, who have found victory lane there. 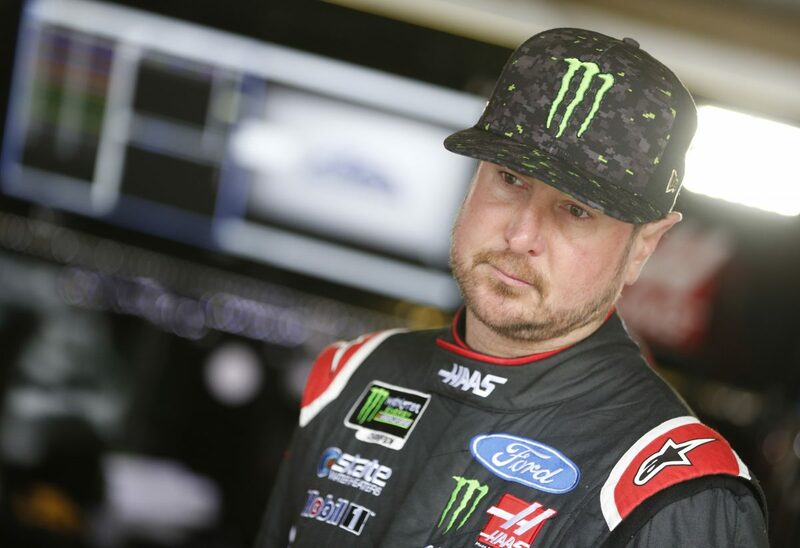 Kansas has been a racetrack for Busch that has been complicated and vexing but, since 2015, he’s seen marked improvement. In six races with crew chief Tony Gibson atop his pit box, Busch has scored finishes of eighth, sixth, third, 13th, 15th and second for an average finish of 8.5. His average Kansas finish had been 19th to that point. So, while Busch has yet to find victory lane there, he has been able to compete at the track with the kind of consistency that could see him continue that trend of marked improvement this weekend. Busch, driver of the No. 41 Haas Automation Ford Fusion for Stewart Haas Racing (SHR), has been running at the end of all but two of the races he’s competed in at the 1.5-mile oval, the first non-finish due to engine failure in 2003, the other due to an accident in October 2014. Talk about racing at Kansas this weekend. How important is this race considering the racetrack is part of the NASCAR playoffs? Kansas hasn’t always been a strong racetrack for you but, as of late, that seems to be changing. Do you agree? What has been the key to your recent good finishes at Kansas? What is one part of the racetrack or your driving style that you’ve had to work on at Kansas over the years?